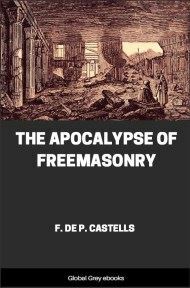 A short book by an unknown author on Freemasonry and the mysteries within it. 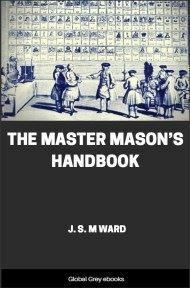 Chapters include: The Fundamentals Of All Masonic Institutions And The Ancient Mysteries Are One; And, The Symbolism Of The Ancient Mysteries And Masonry Are Identical. 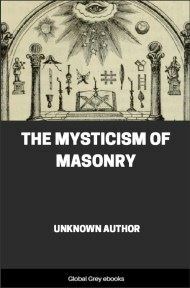 The mystical (therefore Oriental) side of Masonry is not alone the Key to the various religions taught to all men in all ages, from the very beginning of conscious reasoning existence up to the present, but it is, in fact, the repository of religion itself. The Ancient Mysteries of the Secret Schools are so-called because under that title was and yet is conserved all that men have believed and do now believe, all that men have been taught and have experienced through obedience to a super-life, and these Secret Schools therefore conserve the secrets of all inner (mystical or occult) Initiation. The mysteries have now, as throughout the long ages past, for their foundation, the existence of God, as Jehovah Adonai - the Father of Light and the Immortality of the Soul, which Soul, in the language of the Initiates, is and always must be, an ever- burning Fire, a Light that must be brought into close relationship with the Father of all Light from which it originally came. The Mysteries recognize man actually as a living temple wherein may become domiciled God, the Father of Light, which Light is life and immortality. This is the same temple concerning which we are taught in the Biblical narrative as well as in exoteric Masonry, that it was made without hands, without sound of hammer or any noise whatsoever. These Mysteries recognized the Christos, christened the Christ (by the church when it reconstructed part of the lesser mysteries into Christianity) long centuries before the time of the Elder Brother, Jesus, as a living, actuating principle in the Soul of man without which no human may become super-human or Consciously Immortal. These Mysteries had for their object, as they still have, the uniting of the awakened (Spiritually Initiated) men into a Universal Brotherhood in which right (true kindness of heart governed by exact justice) is might; a Brotherhood that exercises benevolence, practices virtue (without a smug complacency) and the arts, and studies coordinately the laws of both Nature and God (as they are and not as foolish man would have them be), ready to accept them as of equal importance in the life of man while on the earth plane. Of these Mysteries Masonry was born as an outer school so that the many might be instructed in these fundamentals; through this medium the way was pointed out to them by which the sublime heights might ultimately be attained. The cradle of the symbolism utilized in all Masonic work is placed by many authoritative writers in that country which they have reason to believe was first inhabited, i.e., the plateau of Tartary; from there the teaching was transmitted later by the sages of India, Persia, Ethiopia and Egypt to their respective countries. 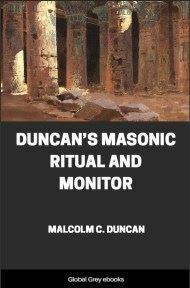 It is a fact that at Memphis, Egypt, in the Pyramids, under the guidance of the King-Initiates, the Mystic Rites of what later came to be known as Oriental Masonry, were observed many thousand years ago. At that far time (to us) Egypt and the continent now known as America were one and the same. Therefore we actually are not indebted to Egypt as we know her at present but to America, the home of the Eagle and the possessor of the Capstone which is to finish the Masonic (spiritual) structure for all time. Though anciently the Mysteries were presided over by the Priest-Initiates or Initiate-Kings, nevertheless the Mystic Rite was open to all men who from their hearts could confess belief in the Fatherhood of One God and the Brotherhood of all men, and who were able to convince the Initiators that they were full men, men without defect, which proviso, the ancient law informs us, had no reference to the loss of hand or foot, finger or toe, but to a virile manhood capable of reproduction of the species and consequently still in possession of the Elixir Vitae through which only Spiritual Initiation and Conscious Immortalization finally may be attained. The letter still obtains in exoteric (modern) Masonry but the spirit long since has been dead. "In America [rediscovered by Eric the Red, a Viking of the Vikings] repopulated by the white race beginning with the Seventeenth Century, was recovered [that part of] Egypt-the Promised Land or the land of the Constellation of the Eagle" -- Parsons, New Light from the Great Pyramid. Irrespective of how numerous or complicated the wards of a lock may be, if the right Key be applied, it must open. The Great Pyramid of Ancient Egypt, studied and compared with the wondrous structure of like nature in Yucatan, proves to be the long-sought Key to the mysteries of mythology and the great world religions. Especially does it vitally concern those Americans (with interests aside from profiteering and the exploitation of the weak which is at present the universal game) to see it gradually demonstrated that the story of cosmic terrors interwoven with the very fabric of all literature, both Christian and Pagan, refers to occurrences as literally true as are the fearful and devastating earthquakes of modern times of which those of California and Japan are examples. 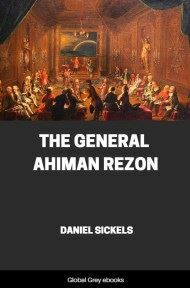 These stupendous events were connected, first, with a great destruction and recovery of equilibrium in the solar system; secondly, with the consequent sinking of the continent of Atlantis (part of which remains as part of America) when the globe became involved in consequence of the defiance by the Atlantians of natural and Divine Law. Atlantis then was the seat of the greatest empire ever known to man and its armies were terrorizing the rest of the inhabited globe.